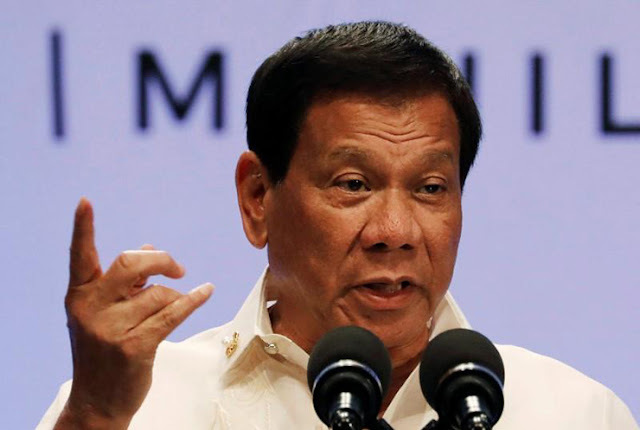 Philippine President Rodrigo Duterte will visit South Korea next month to promote bilateral ties and cooperation, Seoul officials said Friday. He will make an official visit from June 3-5 and hold a summit with President Moon Jae-in on June 4 focusing on trade, infrastructure and the defense industry, according to the presidential office. Duterte will be the first head of state from the Association of Southeast Asian Nations (ASEAN) to visit South Korea since Moon took office in May last year. The two leaders last met in the Philippines in November on the sidelines of the ASEAN+3 Summit and East Asian Summit (EAS). Seoul hopes his visit will boost momentum for Moon's New South Policy aimed at strengthening ties with fast-growing Southeast Asian countries.